Jaipur : HMD Global, the home of Nokia phones, today showcased Nokia 1, new Nokia 6, Nokia 7 Plus and Nokia 8 Sirocco for the Indian market. These award winning new Android One Nokia smartphones were introduced at Mobile World Congress in February earlier this year. In addition to the showcasing of four new Nokia smartphones, HMD Global also announced the launch of Nokia phones shop – an online shop for all Nokia devices and accessories in the country. Delivering all the craftsmanship you expect from a Nokia phone, each new smartphone offers durability and reliability as standard, with the range setting new benchmarks in materials and design. With a commitment to a pure, secure and up-to- date Android, each smartphone will stay fresh over time with monthly security updates guaranteed and no unnecessary UI changes or hidden processes eating up battery life or slowing them down, so you can enjoy your new phone for longer. 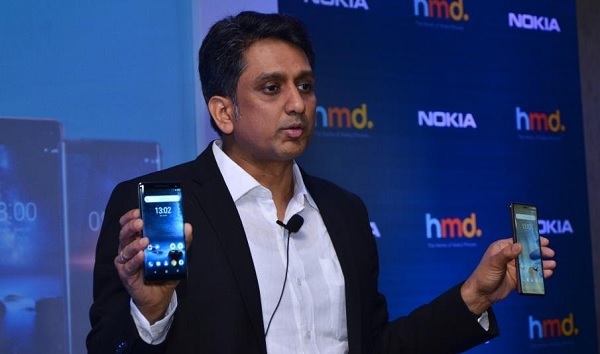 On the side-lines of the event said, “Amit Goyal, Business Head - North &amp; East - ‎HMD Global, “2017 has been an instrumental year for us – we set up our business operations in the country and launched a portfolio of devices that received overwhelming response from the consumers." "Today, we are taking the next significant step forward with the launch of four new Nokia Android smartphones. In 2018, we will continue to strengthen our presence in the country. I am delighted to announce the launch of our exclusive online Nokia phones shop for selling Nokia devices and accessories. We will further our commitment to India by deepening our presence in offline as well as online channels,” he added. smooth and responsive, with full access to the Google Play™ Store so you can find all your favourite apps from WhatsApp, Facebook and Instagram to mobile banking while also highlighting apps that are optimised for Android Oreo™ (Go edition). Available in warm red and dark blue the Nokia 1 is available for sale at a recommended best buy price of Rs. 5,499/-. The Xpress on covers will be available separately starting April, 2018 at an MRP of Rs. 450/- only. Consumers can now personalize their Nokia 1 and pick from a pack of azure and grey or yellow and pink. Building on the success of its predecessor, the New Nokia 6 packs even more powerful performance and great new features in a more compact, durable body. Over 60% faster than its award-winning predecessor, it now offers enhanced Dual-Sight, ZEISS optics, USB-C fast-charging, a more compact screen-to- body ratio, Nokia spatial audio and pure, secure and up-to- date Android Oreo™. The New Nokia 6 takes the original’s precision craftsmanship to the next level by combining a unibody, made from a solid block of 6000 series aluminium, with an 11-hour two-tone anodising and polishing process. And by uniting a sculpted 2.5D display with damage-resistant Corning® Gorilla® Glass, the New Nokia 6’s compact and refined body is built to last. Our engineers have integrated the Qualcomm® Snapdragon™ 630 Mobile Platform to deliver fast and smooth performance alongside great day-long battery life. Available in Black/Copper and White/Copper, consumers can buy the new Nokia from Nokia phones shop and leading mobile stores across the country including outlets like Sangeetha, Poorvika, Big C, Croma and Reliance. Customers on Airtel can enjoy a cashback of Rs 2000 on Nokia 6 and own the smartphone at an effective price of Rs. 14, 999 Airtel customers can also enjoy an extended free subscription to the Airtel TV app till December 31, 2018. Additionally, consumers will get 25% instant discount on domestic hotels at MakeMyTrip. All new Nokia 6 consumers will also be eligible for a complimentary 12-month Accidental Damage Insurance by Servify on opening the Kotak 811 savings account and activating it. The new Nokia 6 will be available at zero cost EMI on credit cards and through Bajaj FinServ and Home Credit. ICICI bank will offer a 5% cashback till May 31, 2018. New Nokia 6 will be available at a recommended best buy price of Rs. 16,999. Made for creators to deliver stunning content, the Nokia 7 plus has the screen, power, design and features to make it a true hero in our smartphone range. Combining innovative optical hardware and imaging algorithms, the Nokia 7 plus captures moments into photos that are true to life. With enhanced Dual-Sight, dual rear sensors with ZEISS optics combine an ultra-sensitive 12MP wide-angle primary camera for excellent performance in both low-light and extra bright conditions and a secondary 13MP camera that delivers 2x optical zoom for the moments when you wish you were closer. live on Facebook or YouTube. Additionally, consumers will get 25% instant discount on domestic hotels at MakeMyTrip. All Nokia 7 plus consumers will also be eligible for a complimentary 12-month Accidental Damage Insurance by Servify on opening the Kotak 811 savings account and activating it. The Nokia 7 plus will be available at zero cost EMI on credit cards and through Bajaj FinServ and Home Credit and ICICI bank will offer a 5% cashback till May 31, 2018. Nokia 7 Plus will be available at a recommended best price of Rs. 25,999.
most beautiful smartphone to date. Its curved glass finish envelops a precision-crafted stainless-steel frame to deliver a fusion of strength and beauty. Just 2mm thin at the edge, the Nokia 8 Sirocco combines a curved edge-to-edge pOLED 2K 5.5-inch display with smaller bezels and moulded body curves to create an ultra- compact profile. 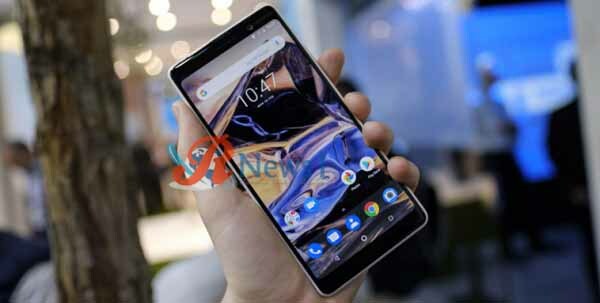 Available in black colour, consumers can pre-book their Nokia 8 Sirocco starting April 20, 2018 from Nokia phones shop, Flipkart.com and select retail outlets like Sangeetha, Poorvika, Big C, Croma and Reliance (on-shelf date: April 30, 2018). 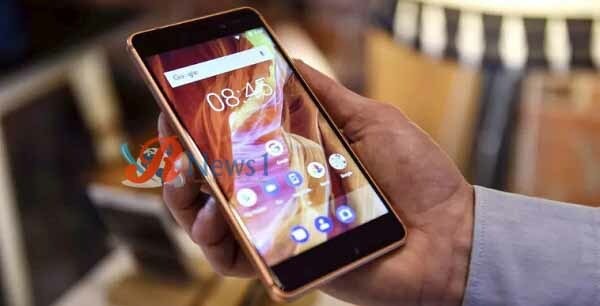 Airtel customers buying the Nokia 8 Sirocco will be able to enjoy an additional data benefit of 120GB. While prepaid customers will get 20GB additional data on each of the first 6 recharges of Rs 199 or Rs 349, postpaid customers can avail the additional 20GB per month on the Rs 399 or Rs 499 plan for 6months. Airtel customers will also get an extended free subscription to the Airtel TV app till December 31, 2018 and ICICI bank will offer a 5% cashback till May 31, 2018. Additionally, consumers will get 25% instant discount on domestic hotels at MakeMyTrip. Nokia 8 Sirocco will be available at zero cost EMI on credit cards and through Bajaj FinServ and Home Credit. 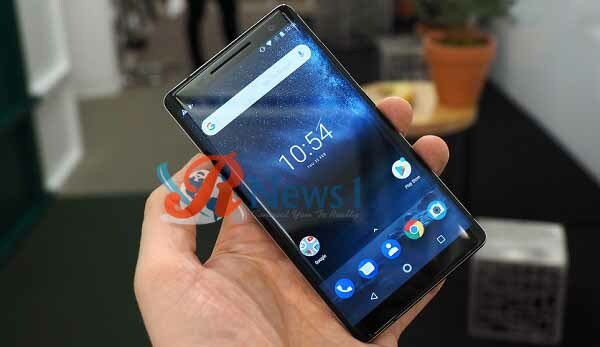 Nokia 8 Sirocco will be available at a recommended best buy price of Rs. 49,999.